If God can be in a rock... then why not in man? A noted geologist who heads the Geology Department of a major University was witness to one of Baba's materializations. Baba picked up a rough piece of granite to ask the scientist what it contained. The geologist mentioned some minerals. Baba insisted, "I don't mean those, but something deeper." He continued, "Well molecules, atoms, electrons, protons..." Baba wasn't satisfied, "No, no, no, go deeper still." The geologist professed his ignorance. The Baba took the rock, blew on it, and gave it back to the geologist. The geologist was flabbergasted, for the rock had been transformed into a statue of Krishna playing the divine flute. Baba admonished him, "You see, beyond your atoms and all, God was in the rock, God is sweetness and joy. Break off Krishna's foot and taste it". The geologist found no difficulty in breaking the statue and tasting the foot. It was candy with a sweetness all its own. No wonder Howard Murphet one of Baba's biographers, has said, "Science gives but the first word; the last word is known only to the great spiritual scientists like Sai Baba." 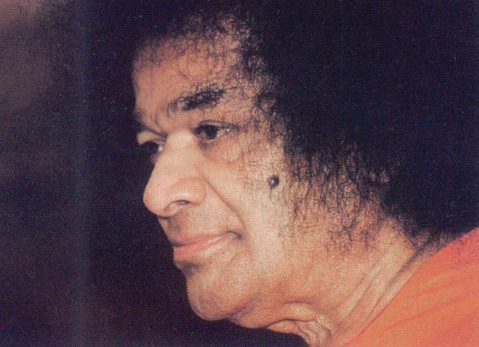 If Baba can transform rock into God... and we have the geologist's word for it - then why not the human being already charged with the divine afflatus or divinely imparted knowledge? Apart from his own prodigious spiritual image which encompasses millions of devotees, Baba uses the 3000 and more Sai spiritual educational, and social service institutions throughout the world to spread His message with the objective of transforming the common people into a race of enlightened Godmen and Godwowen.